Flood Mitigation: Flooding can be deceptive. Water penetrates into structural cavities creating trapped pockets of saturation. The detection of water in these areas can often only be discovered with sophisticated moisture detection meters. Undetected moisture will continue to cause damage. This damage, at a minimum, will cause odors in your house or business. Greater damage will surface when materials delaminate, shrink, split and further deteriorate to where costly repairs are required (IICRC). Mold Remediation: Mold becomes a problem inside a home or business when there’s excessive humidity or moisture for an extended period of time. 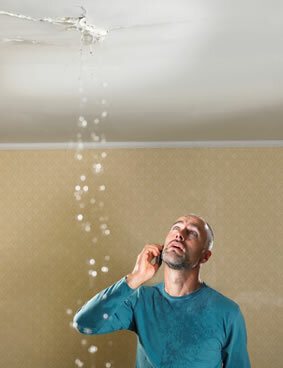 The problem can originate from sudden water releases, like a burst pipe or large spill that goes untreated, or from a chronic condition, such as a leaking roof or plumbing. Even high humidity or warm, moist air condensing on cool surfaces can trigger mold problems. It’s always best to have the mold evaluated and removed by a certified professional (IICRC). Structural Drying: While there are many methods for drying structural components and contents, the “in-place” drying system has been taught in the industry and used by drying contractors since the early ’80s. In those days, this method of drying components, without significant removal of furnishings or fixtures, was somewhat restricted, due to limitations imposed by extraction, evaporation and dehumidification equipment. In recent years, however, drying technology (extraction, evaporation, dehumidification), along with better understanding of psychrometry, has advanced in major ways so that in-place drying has, in some cases, become far more safe and practical (IICRC). Fire and Smoke Restoration: The fire trucks may be gone but without proper immediate response, the real damage and the costs are just beginning. To return your residential or commercial property to its pre-loss condition requires professional restoration. This is not the job for a do-it-yourself property owner.